We believe in the magic and wonder of Chrismtas. We love the imagination and amazement we see in Garner. You can’t imagine until you have your own how much fun things like this can be. So she asked for a dollhouse and a doll. We’ll see if Santa comes through. We are excited Gammie and Poppie will be here NEXT WEEK! YAYAYAYAYA! We haven’t done a stitch of shopping, done our Christmas cards or 37 other things on my list. BUT, our tree and most of the decorations are up and we’ve seen Santa! 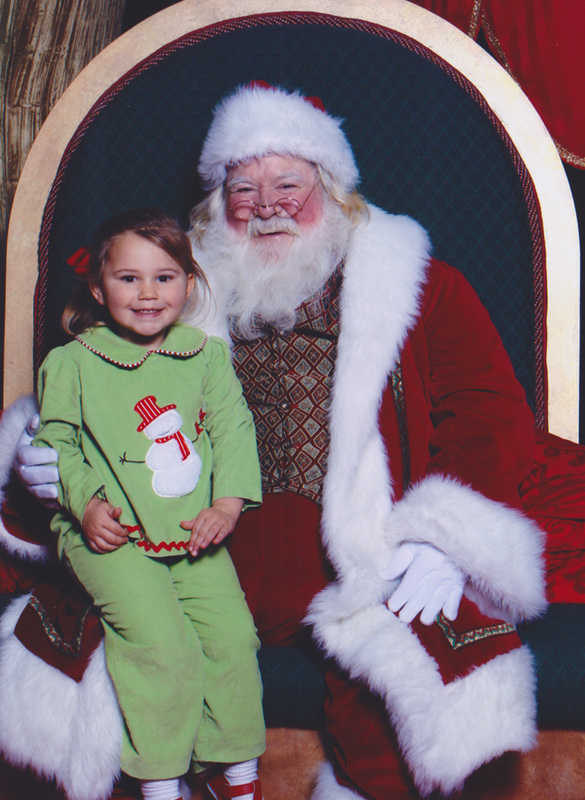 Garner looks like she is having a great time with Santa!! She is the spittin’ image of you!!! !